Every day of the year, throughout the day and night, emergency medical responders are ready in case someone needs them. This includes weekends and holidays, even Christmas and New Year’s. EMS workers say they are happy to do it, because it is their mission to help people who are hurt or sick. But for the past few years, EMS agencies have been struggling financially for a number of reasons and they are concerned about how they will continue to provide the needed service to communities moving forward. 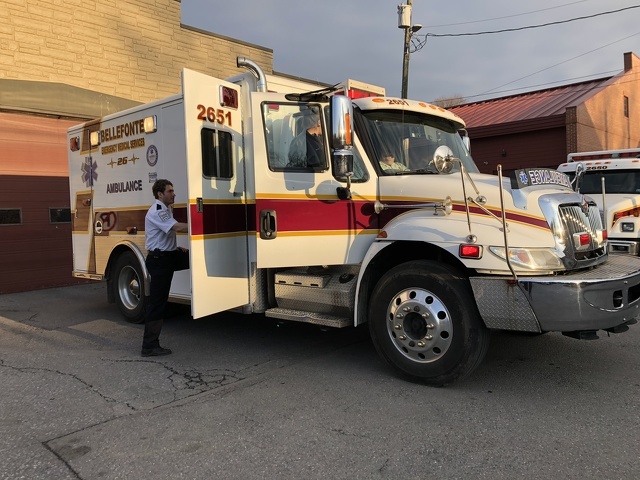 Scott Rhoat, executive director and chief of Bellefonte EMS, said EMS units across the state are struggling and Centre County is no different. The problem is that many insurance companies treat their service as emergency service, like a fire company, instead of a medical provider, like a doctor. Therefore, they are paid only for their transport of a patient. Centre LifeLink in State College has seen a drop in reimbursement for services, according to supervisor Frank Ciafrani. He said when a call comes through, EMS personnel are required to respond, 24 hours a day, seven days a week. Being fully operational at all times is costly, as is the equipment that is used. But EMS is not always getting reimbursed fully for provided services. Medicaid, low-income insurance provided by the state, pays about “20 cents on the dollar” for service, while Medicare, insurance provided by the federal government for those who are older or have a disability, is a little better at “60 cents on the dollar,” he said. All of those calls result in a significant loss for EMS. According to Ciafrani, CentreLifeLink is lucky compared to services in other areas of the county because a significant portion of its calls come from people with payer-based insurance. “But that number is getting smaller year over year. It makes us question what our financials will look like in the future,” he said. When EMS arrives on a scene and there is no need to transport a patient to the hospital, EMS does not get reimbursed by insurance companies, Cianfrani added. In Port Matilda, EMS Capt. Dave Corle is seeing similar issues. “People need to understand that ambulances don’t run on hopes and dreams,” said Corle. It costs around $500 every time they head out on a call, and sometimes Medicare and Medicaid reimburse only $80-$100. With a large percentage of the community receiving Medicare or Medicaid, that leaves a big hole in the budget, he said. Medicare and Medicaid also used to reimburse for mileage if the trip to the emergency room was more than 10 miles, but a few years ago that was changed to 20 miles. Most trips from Port Matilda EMS fall in between those numbers and the service is no longer reimbursed for the mileage, he said. All this leaves a necessary service that is underfunded. “You are looking at a business model that loses money. Not that we are here to make a lot of money; we are a nonprofit, but at the same time we have to be able to cover costs and pay our staff. A new ambulance costs $190,000,” said Ciafrani . Centre LifeLink saw more than 7,000 emergency calls in 2018, said Ciafrani, and it has to be ready to respond at a moment’s notice. In Bellefonte the financial stress has left employees underpaid and most working only part time. Of the 26 staff at Bellefonte EMS, 80 percent work another job and 50 percent work two other jobs, Rhoat said. He said it is not uncommon for his employees to work at multiple EMS agencies across the county, part time and without insurance. He added that this has been an ongoing problem that has gotten worse over the years as expenses have risen and funding has been stagnant. EMS around the county and state, like Port Matilda, have membership drives and fundraisers and receive some help from municipalities, but it is not enough. When Bellefonte passed its budget for next year, taxes were raised, and part of that tax increase was set aside to help the Bellefonte EMS during these hard financial times. The money was pledged after Bellefonte EMS asked for funding from all of the municipalities that it serves in order to make ends meet and keep the service in the area operating as it should. The borough has set aside $20,000 for EMS in next year’s budget. Bellefonte is one of 10 municipalities that the Bellefonte EMS serves, and eight of the 10 have agreed to give .2 mills of their taxes to support the EMS. Rhoat said that a state mandate from 2007 puts the onus on municipalities to support emergency services, but not everybody agrees and so not all municipalities are willing or able to help. Bellefonte, Howard and Milesburg boroughs and the townships of Huston, Union, Boggs, Benner and Marion all agreed to give the .2 mill of support, with Unionville Borough and Spring Township not agreeing to help. This will give the EMS $54,000-$56,000 toward its $900,000 budget next year. This is a step in the right direction, but there is still a long way to go, Rhoat said. He hopes to use the money from the municipalities to raise hourly wages for his employees by a dollar and help pay off a new ambulance purchased last year. While the dollar raise will certainly be appreciated, Rhoat said his employees would still be around $5 below a competitive rate for the area. Medicaid will pay 30 cents on the dollar next year, up from 20 cents, so that should provide another small boost. Rhoat and Ciafrani said there is state legislation that will be coming through in 2019 that would require payment from insurance companies for “treatment and no transport.” This could potentially help offset some costs of arriving on a scene, but not having to transport a patient. “All the details aren’t clear, but it looks like a positive thing that will help us with some of the cost,” said Ciafrani. 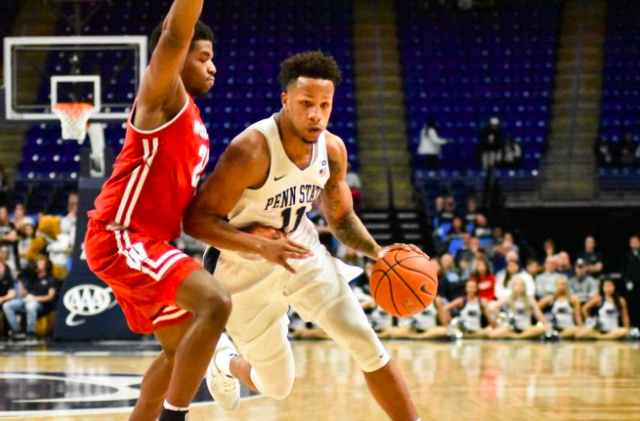 Penn State men’s basketball (7-8, 0-4) struggled again offensively on Sunday night in a 71-52 blowout loss to No. 22 Wisconsin (11-4, 3-1) at the Bryce Jordan Center.